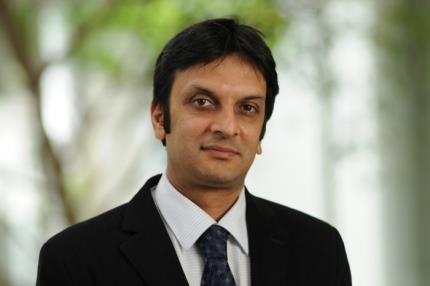 Dr. Patel received his Bachelor of Medicine degree from the University of Southampton, United Kingdom and completed his clinical fellowship in Internal Medicine, Gastroenterology and Hepatology at Perth Teaching Hospitals, Western Australia. He completed a 3-year post-doctoral research fellowship in Clinical and Translational Research in viral hepatitis at Scripps Clinic and Research Foundation, San Diego, CA and Duke Clinical Research Institute, Durham NC. He was on faculty at Duke University 2004-2015, and an Associate Professor of Medicine (with Tenure) since 2013. He is now at the Toronto Center for Liver Disease and University of Toronto Health Network. He has served as Principal Investigator on numerous clinical trials in NAFLD, hepatitis B and C infection. His research Interests include clinical and translational research relating to host metabolic risk factors and mechanisms of fibrosis in viral hepatitis, along with the development of noninvasive markers of fibrosis, and the incorporation of functional genomic tools in the development of biomarkers of disease progression.